The figure shows an obtuse triangle ABC, angle C = x, angle A = angle CBD = 2x, and D midpoint of AC. Find x. 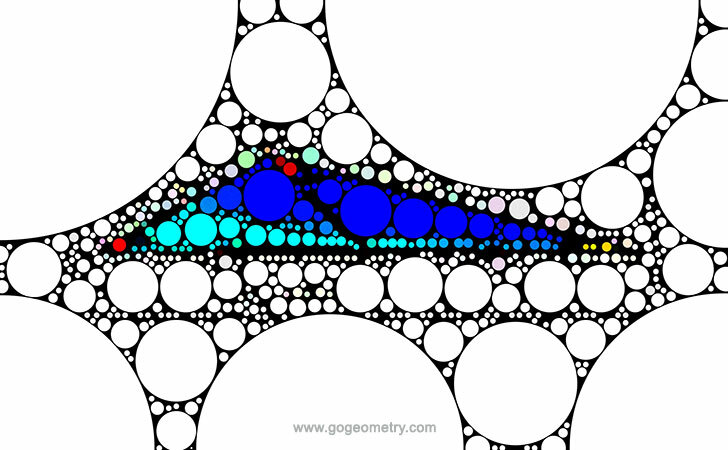 Art of Geometry Problem 14 using Mobile Apps. Circle Patterns.